Windows Phone 7.5 Refresh is the latest version of Microsoft's mobile operating system, and is rolling out now across the world. This is the most significant update of the operating system since Mango, which added many new features, including Fast Task Switching. In this latest update, which was codenamed Tango, we find support for devices with lower specifications; e.g. the Nokia 610 with its 256MB of RAM. There are many more features too, including a few that are exclusive to Nokia. Here's our guide to Windows Phone 7.5 Refresh. The primary goal of Windows Phone 7.5 Refresh – also designated as OS Number 7.10.8773.98 – is to provide support for lesser specified devices, such as the Nokia 610, with which Microsoft hopes to penetrate the low-end smartphone market. The key feature that separates "lesser specified" devices from the rest of the Windows Phone fleet is the limited RAM – just 256MB; compared to the usual 512MB of RAM found in other current generation Windows Phone devices. Clearly, less RAM puts constraints on what applications can do. However, after testing the most popular Windows Phone applications, Microsoft developers found that 95% of applications were already suitable for these low-end devices. 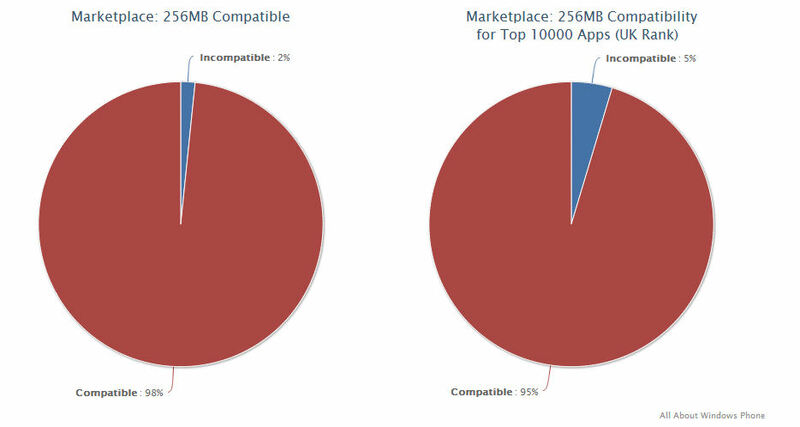 You can read our detailed report on 256MB device app compatibility here. Microsoft has since contacted the authors of the remaining 5% with two options: test their apps with the new emulator of a 256MB device in the Windows Phone SDK, or set a flag in their marketplace account to opt out of 256MB devices. Other constraints on devices like the Nokia 610 is that background agents are disabled. This does not affect background audio and file transfer, but periodic tasks that update live tiles, for example, will not work. However, low-end devices can still receive push notifications – arguably better anyway – which can then be used to drive live tiles. For current and future devices with 512MB or more of RAM, all options are still open to developers, and the facilities have been added so that an application can check which type of device it is running on, and so tailor its behaviour accordingly; e.g. disable page transitions, etc. This update isn't just about budget smartphones – there are new features which all Windows Phone 7 users can benefit from. Multimedia Message Service (MMS) has been improved. Users of all devices can now attach multiple photos or videos to a message, as well as ringtones. 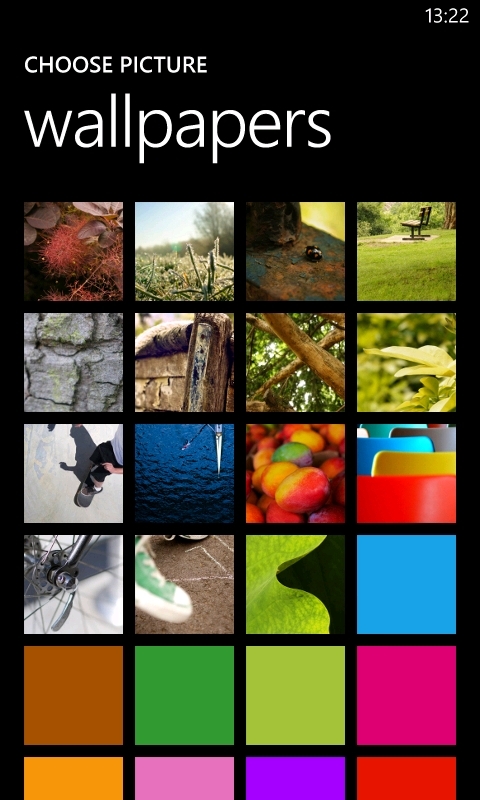 All devices now have a new set of official Windows Phone 7 wallpapers, which Microsoft specially commissioned from a loyal Windows Phone user who had been spotted when he published a set of wallpapers he'd created for himself and his girlfriend. In addition to these features, even more people will be able to use Windows Phone 7.5, as the 'Refresh' update adds support for 23 more countries around the world. This is a necessary and complementary move to support the low-specification devices, as Microsoft and its OEMs attempt to sell more phones to developing economies around the world. Nokia have rolled out a number of their own enhancements to Windows Phone 7.5 Refresh too. 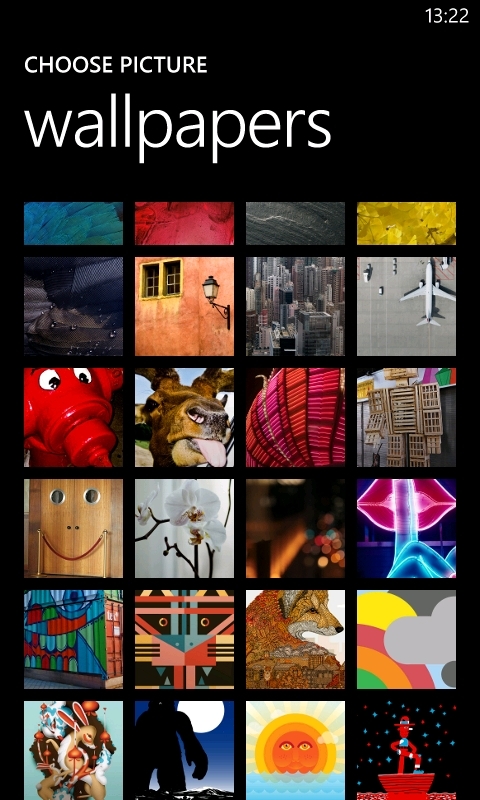 In addition to the new wallpapers mentioned above, Nokia have included some exclusive wallpapers that were previously added to Symbian devices in the Nokia Belle update. This will, no doubt, make those migrating from Symbian to Windows Phone feel a little more at home. Another feature that Symbian users may be accustomed to using is 'flip to silence' – this has now been implemented in Nokia's version of Windows Phone 7.5 Refresh. Also note that HTC Windows Phone 7 devices had this functionality prior to Windows Phone OS version 7.10.8773.98. 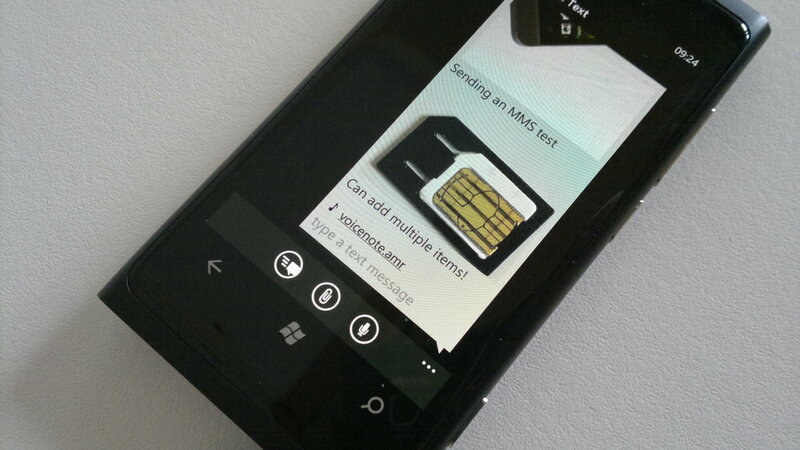 In addition to the universal MMS improvements, Lumia users can also attach voice notes to multimedia messages. Audio attachments are saved in the AMR format, as is standard for mobile phone audio recordings. 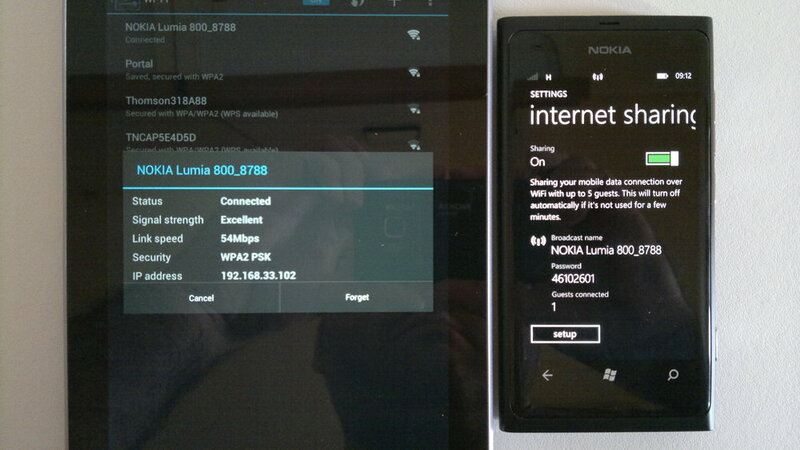 The most notable addition to Lumia devices is that of Internet Sharing. 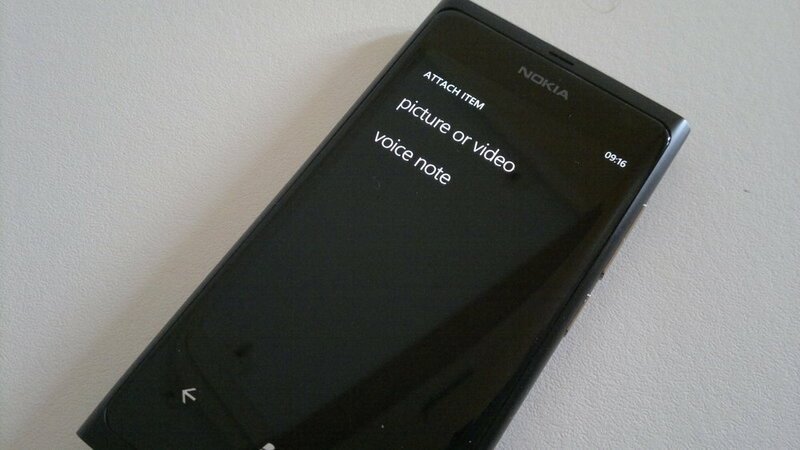 While HTC users already had this feature, owners of Nokia Lumia smartphones have had to wait until now. With Nokia's implementation of Internet Sharing, up to five guest devices can be connected and connections are encrypted with WPA2. You can set your own access point password if you wish, but the operating system will generate a random numeric password for you to use with guest devices. You won't even have to remember to turn Internet Sharing off as it can detect when it is no longer being used and will automatically shut down. Finally, unseen changes in Nokia's version of Windows Phone 7.5 Refresh provide the internal code needed for forthcoming exclusive features and apps – namely Camera Extras, Nokia Counters, and Contact Share; read more about them here.